Highlighting our frog and reptile friends who are extremely important for our ecosystem. The Midlands boast a wonderful array of reptiles. Along with its endemic chameleon (the Midlands Dwarf), there is another reptile species endemic to this area: the Bourquin’s Dwarf Burrowing Skink (Scelotes bourquini). This legless lizard was only described as recently as 1994. It was named after the man who discovered it, Orty Bourquin, who used to work for the Natal Parks Board. It looks very similar to other species in this genus. However, the tail is much longer than that in other species, and it has two extremely tiny limbs, barely visible to the naked eye. Some of the other Scelotes species either have slightly large legs, or none at all. This little lizard could be confused for a snake, due to its apparent limbless body. Those typical skink scales (small, smooth and shiny) are one way of identifying it, along with its indistinctive, small head. It is currently listed by the IUCN Red List as Vulnerable, due to its restricted and fragmented range. It is found between Howick and Nottingham, a fairly small area, where they occupy grasslands. They spend most of their time underground, feeding on small invertebrates. They’re a difficult species to find, but do not seem to occur in high numbers. Their habitat is threatened by the usual: housing, plantations and agriculture. Myself and three friends recently went on a mission to find one of these elusive skinks, after getting a reliable locality for them from a friend. Our trip was a success! One of our group, Darren Van Eyssen, managed to locate one hiding under a rock. It was a gravid (pregnant) female, which was great news for this species, measuring at around 15 cm long. We were delighted! After a quick photoshoot, to document the find, we put it back where it was found. These lizards are live-bearers. Little is known about their reproduction, but I would guess she could give birth to around five babies +-. We managed to see a few other nice reptiles too, including Drakensberg Flat Geckos, Drakensberg Crag Lizards, two other species of skinks (with legs! ), a harmless Slug-eater and a Skaapsteker. It’s always nice to spend a day out in the field! I’d love to be able to see more of the amazing reptiles occurring in the KZN Midlands soon! This entry was posted in Some Friends Hop and Slither, Threatened Species and tagged Bourquin's Dwarf Burrowing Skink, KZN Midlands, Nick Evans, skink on March 14, 2018 by Midlands Conservancies Forum. KwaZulu-Natal is the most diverse and species rich province, playing host to many forms of wildlife, including frogs. The KZN Midlands is particularly fortunate to be home to many of these beautiful frog species, and one such species endemic to the area is the special little Long-toed Tree Frog. The Long-toed Tree Frog (Leptopelis xenodactylus) is simply adorable, cute, loveable, however you want to put it – except gross or ugly! The same can be said for the other two Tree Frog species in this province, the Natal and the Brown-backed. There’s just something about Tree Frogs though. This frog’s most unique and interesting feature is what its name suggests: their very long toes. The back toes are especially long, making the frog look quite comical. These extraordinary toes come in handy when moving through the long grass. The Tree frog walks and hops across grass blades, and may even be seen hanging off long pieces of grass, using those long limbs. Long-toed Tree Frog photographed by Nick Evans – Note the long toes. The Long-toed Tree Frog is a ground-dwelling species. They live in grassy wetlands, or flooded grasslands. Here, they can be seen sitting on the ground next to the water, or as mentioned, moving through the grass, where they may be looking for a mate, or a mosquito. This is an endangered species with their main threat, like all wildlife, is habitat loss and habitat degradation. It is imperative that we protect the remaining habitat and to rehabilitate wetlands and grasslands where possible. We cannot lose this precious little mosquito-muncher. I hope that you see the beauty of this frog in these photos which I took recently in Lion’s Bush Conservancy area. Happy frogging during this ‘froggy’ season! This entry was posted in Some Friends Hop and Slither, Threatened Species and tagged citizen science, frogs, lion's bush, long-toed tree frog, Nick Evans on November 25, 2016 by Midlands Conservancies Forum. Frog activity is relatively low-key during the winter months, as it’s generally too cold for any frogs to be out and about, catching insects or calling for mates. There are, however, two frog species which may be heard during the winter months, namely the Striped Stream Frog, and Common River Frog. Both these species can be heard during the day and at night, and they both have a similar body structure, but their colour and markings allow you to easily differentiate between the two. The Striped Stream Frog (Strongylopus fasciatus), is a pretty little frog. It has a golden-yellow colouration, with dark stripes going down the body. These agile frogs have an exceptionally long toe on each of the back feet! Striped Stream Frogs favour wetlands and open grassy ponds, or any body of water in fact. They’re not too fussy when it comes to habitat. They have a fast, high-pitched chirping sound. The Common River Frog (Amietia quecketti), grow to be much larger than the Stream Frogs. Their colour can vary. They’re often a dark, patchy green colouration, and sometimes brown. They have a stripe running along their back. In the more brown specimens, their stripe colour varies too, between orange and yellow. Their back toes are more webbed than the Stream Frog. These frogs (along with the Grass Frogs, usually found in more Northern parts of S.A) could go to the animal Olympics, if there was such an event. They are incredible jumpers and powerful swimmers. You can tell they’re good at that by looking at their large, powerful legs. Common River Frogs can be seen and heard alongside rivers and streams. They make a strange, croaking sound, followed by a few clicks! Spring is almost upon us, and some other frogs have started to wake up after the much needed recent rains. Let’s hope we get a lot more rain in the very near future, the land desperately needs it, and those keen on frogs need it too! Once we get a bit more rain, and the temperature starts to increase, frog season will be in full-swing! This entry was posted in Some Friends Hop and Slither and tagged common river frog, frogs, striped river frog, winter on August 15, 2016 by Midlands Conservancies Forum. The Midlands is home to a vast array of amazing animals, including many species of reptiles and amphibians. One of the most striking and beautiful of the lot is the Midland’s Dwarf Chameleon (Bradypodion thamnobates). This gorgeous, colourful chameleon is one of many species of dwarf chameleons of the genus Bradypodion. It is actually quite large for a supposedly dwarf chameleon, and can get to a length of around 20cm (including the tail)! Chameleons, usually, are popular amongst people and most people adore them! How can you not? They’re very cute and loveable animals, with an interesting persona. People are generally often fascinated by their many interesting features. It’s usually the oven mitt- like ‘hands and feet’ and the way they move about, or the constantly rotating eyes, that people find most interesting. The way chameleons hunt is truly amazing. They move slowly through the bush, blending in with their environment very well, and move like a stick in the wind, with the eyes constantly scanning for food or threats around them. They also use their long, prehensile tail for balance. In fact they can even hang off branches while clinging to it using just the tail! Once they have spotted a tasty grasshopper, both eyes focus on the insect, and it then shoots its long, sticky tongue out which hits the insect, and acts like a suction cup. It’s an incredible sight to behold! That tongue of theirs can be as long, or even longer than their body! Chameleons don’t generally climb down to a pond/stream to drink. They actually drink dew or rain drops off the leaves of the shrubs that they’re on. Chameleons cannot shed their tails like a gecko. Like all reptiles, chameleons shed their skin. Most reptiles just leave their skin to peel off, but the chameleon will eat its shed skin! This is to supply their diet with calcium. Chameleons are famous for changing colour, but this is partially a myth. If you put a chameleon on a red/blue/purple or any colour clothing, contrary to popular belief, it won’t change to that colour. Their natural colour allows them to blend in to the environment already. However, a chameleon’s colour can change to lighter or darker shades. So, for example, if a chameleon is stressed, it will become very dark. The Midland’s Dwarf Chameleon is currently listed as Vulnerable, but it is locally common in some parts of the Midlands. The reason why it is listed as Vulnerable, is due to habitat loss, which is an ongoing problem. Please remembers that Environmental Impact Assessments (EIA’s) are not optional, as they are required only for certain listed activities. Midland’s Dwarf Chameleons are also popular pets, especially overseas where they are commonly bred. These slow and crinkly friends are often collected by kids or people that think it’s a ‘cool’ animal to keep. Rather don’t do this, they are not easy animals to keep and are best left in the wild. Consider yourself lucky should you find one of these remarkable reptiles in your garden. If you want to encourage them to your garden, plant indigenous plant species which will attract chameleon food! Don’t use pesticides, the chameleons will do that job for you! The Midlands Dwarf Chameleon is definitely one of the gems of the area! This entry was posted in Some Friends Hop and Slither and tagged chameleons, dwarf chameleon, EIA's, Hogarty Attorneys, Midlands, Nick Evans on May 6, 2016 by Midlands Conservancies Forum. Despite ‘frog season’ slowly and sadly coming to an end, one can still go out and see some of the region’s most striking species, the Reed Frogs. The Reed Frogs, amongst a few others, will still be active for about another month or two. After that, once Winter arrives, the evenings will be a lot quieter without Africa’s amphibian chorus. Most frog species only breed and are active during the rainy months (Spring/Summer). That is when the night skies are at their loudest, with hundreds of frogs serenading each other! So if you don’t get a chance to go and see them this season, get ready to see them next Spring! As their name suggests, Reed Frogs spend most of their time in reed beds, where they are a key link in the food chain. They are crucial to the health of the environment, just like all other frogs. They’re predators of insects such as mosquitoes and flies, and they are preyed upon by birds, snakes and more. They’re excellent climbers of course, and during the day, they are often found sticking to people’s windows and doors, hiding away from the hot sun. 1. Yellow-striped Reed Frog (Hyperolius semidiscus). A beautiful species that is a little bit larger than the other Reed Frogs in the area. They are quite easy to identify, look out for those glorious yellow-stripes going down either side of the light green body, and for their blunt snout! You’ll often hear their croak-like call coming from dams and other bodies of water. A very pretty species. Interestingly, there are three sub-species in South Africa, ranging from the Western Cape, all the way to Northern KZN and further North. As their name implies, they look like they’ve been hand painted, their colours can be absolutely stunning! They’re not always too easy to identify, as juveniles, which are a light brown colour, often throw people off. Their call is unmistakable though, an ear-piercing, short whistling sound. Stand near a group of breeding males and feel your ears eventually start to ring! One of the smaller species of Reed Frogs, Waterlily Frogs are generally found on low-lying vegetation on the water. They make quite a loud insect-like chirping noise! Obviously they love waterlilies, but they also like to sit on Duckweed, an alien invasive plant that starts to cover entire ponds. Dead reeds on the surface of the water is a favourite hang-out too. They’re very cute little frogs, which almost appear to be see through. Look out for a female that’s full of eggs, you’ll be able to see them inside of her! A great way to spend an evening is to go ‘frogging’! Get a small group of people together, and venture off into the nearest wetland/pond (just be security conscious of course), and have a look for these beautiful frogs, and all the other interesting animals that occupy these damp areas. Your eyes will be opened to the magic of nature! All you need is a torch, gumboots, maybe a camera, and some enthusiasm, and you’ll have a wonderful time! Nick Evans runs a programme called KwaZulu-Natal Amphibian and Reptile Conservation, a chapter of The Lawrence Anthony Earth Organization. The aim of the programme is to promote awareness of these ecologically important animals, and to educate the public. For snake awareness and identification talks, or frogging evenings, please email Nick at nickevanskzn@gmail.com. With assistance for snake removals, you can contact Nick on 072 8095 806, who will put you in touch with the closest snake catcher. (Nick is based in Durban). This entry was posted in Some Friends Hop and Slither and tagged frogs, Painted Reed Frog, waterlily frog, wetlands, yellow-striped reed frog on February 3, 2016 by Midlands Conservancies Forum. We are all aware that snake season is well underway, especially now that Summer’s here and the temperatures are constantly rising. The snakes have started to come together to mate and to hunt, after their low activity period in Winter. This causes a widespread panic and fear, especially for the well-being of family and pets. This will have been exacerbated by the much publicised snakebite, on a young girl from a Night Adder, in Pietermaritzburg recently. There is, however, no need to panic and there is no need to live in fear of snakes either. Brown House Snake – One of the friendliest snakes to have around. Docile, non-venomous and they love eating rats! They’re brown with cream-coloured markings going down the body. Snakes are amongst one of the most feared and misunderstood animals on earth, which stems from myths, legends, superstitions and over-exaggerated tales about these unique creatures. T.V. also has a negative impact by portraying them in a false way (i.e the Anaconda movies!). The lack of understanding and education about these animals often leads to them being killed, so it’s time we change our perceptions of these ecologically important animals. Boomslang (male)- Thicker than the harmless green snakes, with a much larger head and eyes, these snakes are actually South Africa’s most toxic snake species. Fortunately, they are very shy and are reluctant to bite unless harassed. Interestingly, and quite uniquely amongst South African Snakes, they are sexually dimorphic. Males are green with black patterns, while females are a drab brown colour. Contrary to popular belief, snakes do not attack people. They do not want to bite us. They are more scared of us than we are of them and that is the truth of the matter. Whenever they see us or sense our presence approaching, they either flee or remain undetected. They are very secretive and shy animals that prefer to be left alone, and that is exactly what you should do if you see a snake. People are often bitten while trying to capture or kill a snake, so don’t ever try. If you see a snake while out walking, in one of the many beautiful nature reserves or conservancies in the Midlands, simply keep calm and stay still. Snakes get nervous when they see a lot of fast movement. If it’s crossing the path, keep a safe distance, appreciate the sighting, and consider yourself lucky that you have seen such a secretive animal. It will move off quite quickly. If it appears to not be moving and just basking (typical Puff Adder behaviour), either walk around it, giving a wide birth, or walk the other way. That’s all you need to do to avoid being bitten. You may shout it if you want, but you would just be wasting your breath. Snakes are completely deaf and have no ears. *NEVER pick up a snake, alive or dead. Even if you think you know what it is. Puff Adder – Quite common in the Midlands and highly venomous. They are a thick-bodied snake, with chevron markings and a large head, that are responsible for a few snakebites every year. This is because they prefer to keep still and rely on their camouflage to conceal them. They will not definitely bite if stood on. If it’s in your house, or somewhere on your property where you really don’t want it, you will have to call your local snake catcher. Otherwise, give it a chance to escape, like leaving a door/window open that leads outside. You can try the police too if you can’t get hold of a snake catcher, but make sure they do not kill it (some policemen unfortunately do). Snakes should not be killed, for your own safety, and for the well-being of the environment. They’re actually doing us a favour. The Green Snakes – These would consist of the Spotted Bush Snake, Western Natal Green Snake and Green Water Snakes. All are completely harmless, long, thin and green, which often leads them to being identified as Boomslangs or Green Mambas. Green Mambas do not occur in the Midlands. The Bush Snakes have quite prominent spots going down the body. Snakes play a vital role in the ecosystem in two ways, as predators and as prey. Snakes are like a free pest control service, especially with regards to rats. We don’t really want rats around, as they can cause havoc in homes. Snakes are one of the many creatures that do a fantastic job at keeping rodent populations in check, so no need for rat traps or poisons, just let the local House Snake hunt in your garden. Venomous snakes like the Black Mamba, Puff Adder, Rinkhals and Mozambique Spitting Cobra, do the job just as well as House Snakes, if not better. Snakes also keep gecko populations in check, as well as all other lizards. Birds, bats, slugs, centipedes, and frogs are all on the menu. They’re not just predators, but prey too. Birds, like raptors and herons, mongooses, genets and monitor lizards all love eating snakes, and so do some other species of snake. Yes, snakes will eat each other! They clearly are a key link in the food chain and are here for a good reason, just like all native wildlife. Night Adder – A venomous species which is often mistaken for a Puff Adder, but is a lot smaller and a lot less toxic. They are more slender snakes than Puff Adders, brown in colour and have dark, pentagon-shaped patches going down the body. So, how does one keep snakes away from one’s property? In truth, there is no set way or definite method in keeping them away. The best thing you can do is to keep your property neat and tidy. Get rid of piles of wood, bricks, and logs which provide shelter to snakes and their food. Jeyes fluid does not work, nor do any other repellants. Planting Geraniums all around your property will not keep them away either. If there’s “food” around, you’ll get snakes. If you are lucky enough to live on a farm/conservancy/reserve, you will definitely see a snake around the property at some point in time. It’s something you have to deal with while living in Africa. We are privileged with an abundance of wildlife. Black Mamba – The most feared and notorious snake, but arguably the most shy and retreating. Occurs in some areas around Pietermaritzburg, and in Ashburton, but not a common species in the Midlands. Africa’s largest venomous snake, that averages in length of 2-2m. Highly venomous, and highly misunderstood. They have a bad, over-exaggerated reputation that is largely false. So please, give the snakes a break. Next time you want to reach for a spade or stick to kill it, reach for a camera or cellphone instead. Keep a safe distance, and take a pic or too of your lucky sighting. Share your sighting with friends over email or social media! 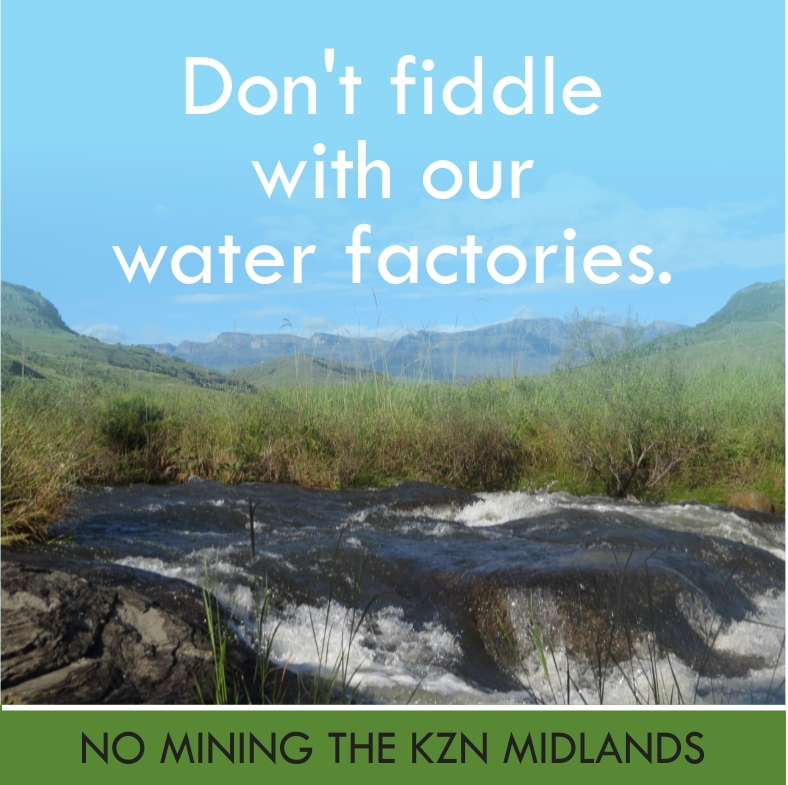 Tag the Midlands Conservancies Forum and the KwaZulu-Natal Amphibian and Reptile Conservation pages too. Respect snakes, don’t fear or hate them. Understand that they’re fulfilling a role in nature, and they are needed. Nick Evans runs a programme called KwaZulu-Natal Amphibian and Reptile Conservation, a chapter of The Lawrence Anthony Earth Organization. The aim of the programme is to promote awareness of these ecologically important animals, and to educate the public. With assistance for snake removals, you can contact Nick on 072 8095 806, who will put you in touch with the closest snake catcher. (Nick is based in Durban). This entry was posted in Some Friends Hop and Slither and tagged green snake, KZN Midlands, Nick Evans, night adder, puff adder, snakes on November 12, 2015 by Midlands Conservancies Forum.